Kudos to Aubrey Schmidt of Goway Travel, who clearly has a handle on a long running-skill. 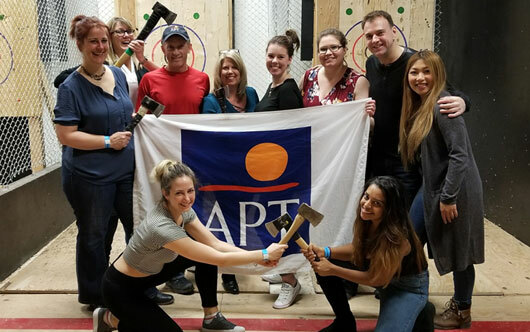 APT recently hosted the Goway South Pacific Department to a team-building event of friendly, but competitive ax throwing. “I don’t like to brag, but I came away the champ!” the humble Schmidt reports.